Muscat : Indian Prime Minister Narendra Modi on Monday invited Omani businesses to invest in the country as he showcased the government's initiatives to further ease doing of business in the "New India". Addressing around 50 Omani chief executives at the Oman-India Business Meet here, Modi said that the reforms were aimed at preparing India for the 21st century and make it a global manufacturing hub. He said India was ushering in a knowledge-based technologically driven society which presents many opportunities for Omani businesses. "Four countries in four-days strengthening our footprint in Gulf and West Asia! PM @narendramodi begins Day 4 with business - Oman-India Business Meet in Muscat. Pitching India as an attractive destination," Indian External Affairs Ministry spokesperson Raveesh Kumar tweeted. On Sunday during his meeting with Sultan of Oman Qaboos Bin Said Al Said, Modi voiced his appreciation of the Indian expatriates for their contributions to Oman's development. 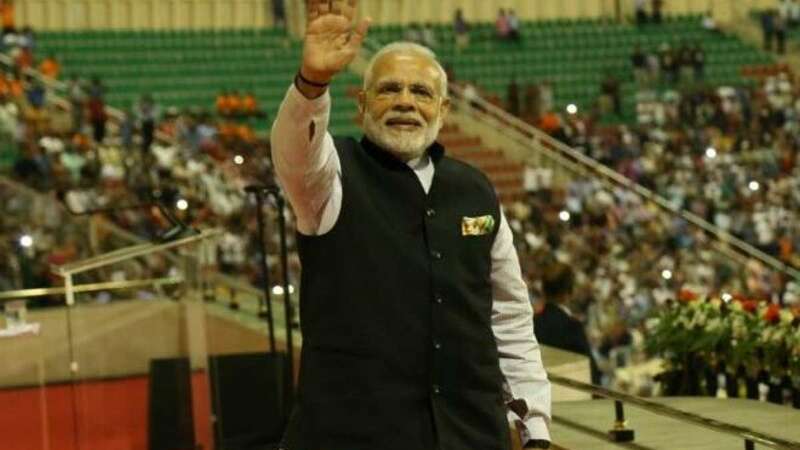 Oman is home to over 800,000 expatriate Indians and Modi, in a community gathering earlier on Monday, praised their role in the Gulf country's development. Following the meeting between Modi and Sultan Qaboos, eight agreements were signed between India and Oman. These include three memorandums of understanding on cooperation in the fields of health, outer space, diplomacy and defence studies and analyses. The India-Oman defence cooperation has emerged as a key pillar of the strategic partnership between the two countries. Oman is a strategic partner of India in the Gulf and an important interlocutor at the Gulf Cooperation Council (GCC), Arab League and Indian Ocean Rim Association (IORA). Modi arrived here on Sunday evening on the third and final leg of his visit to West Asia and the Gulf that also took him to Palestine and the United Arab Emirates.